Are you hosting a party? Tailgating? Binge watching Netflix? Or just in need of some not so terrible snacks? 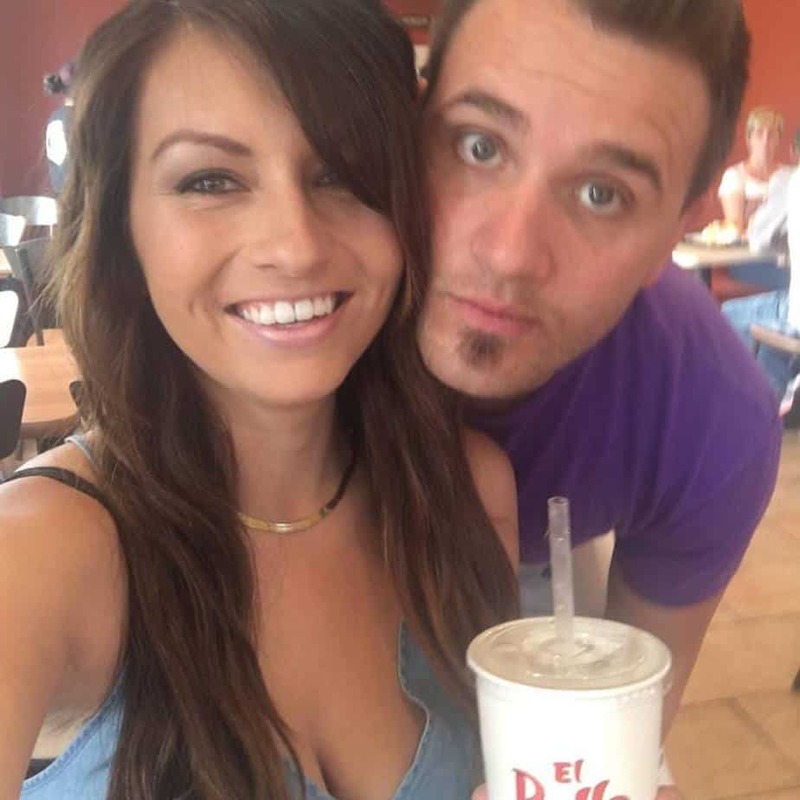 I have the perfect one for you! 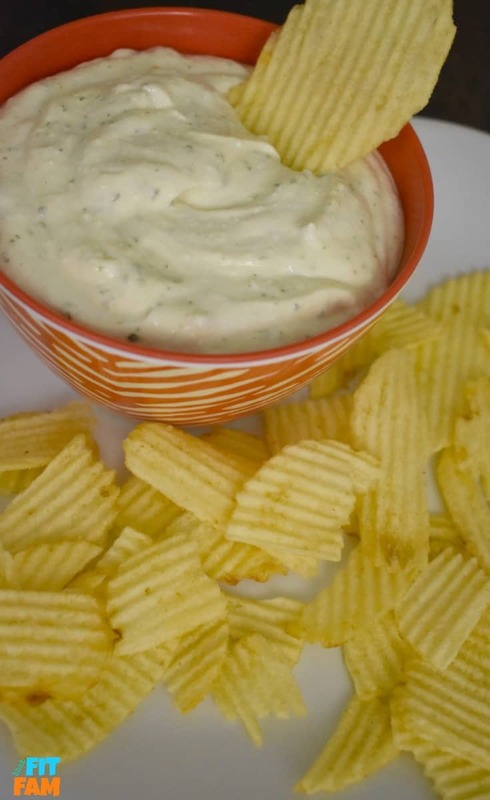 I came up with this protein chip dip recipe yesterday and it was AMAZING! Seriously guys, it’s TWO ingredients, high protein, low carb, and low fat! It really doesn’t get easier (or more delicious). This is a recipe to pull out any time you have company or just need something that tastes unhealthy but isn’t. 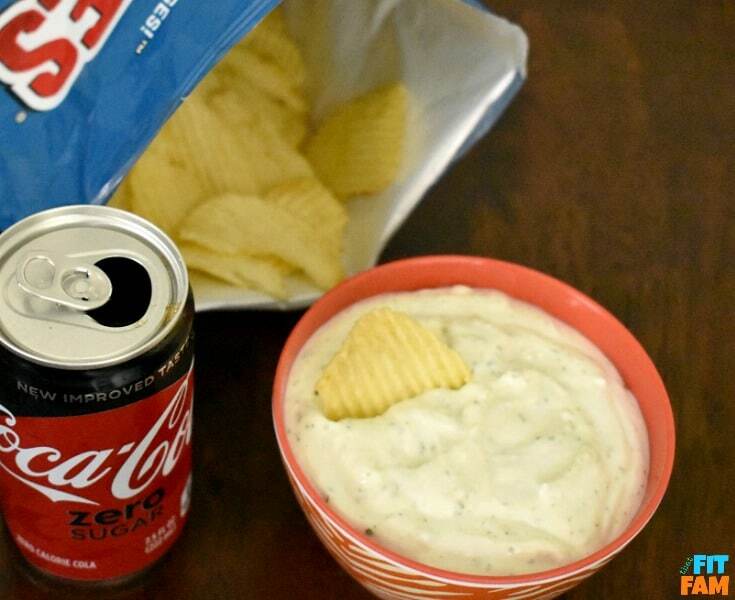 Now, to be fair, this dip is paired with potato chips which aren’t the most healthy, but it’s all about balance. 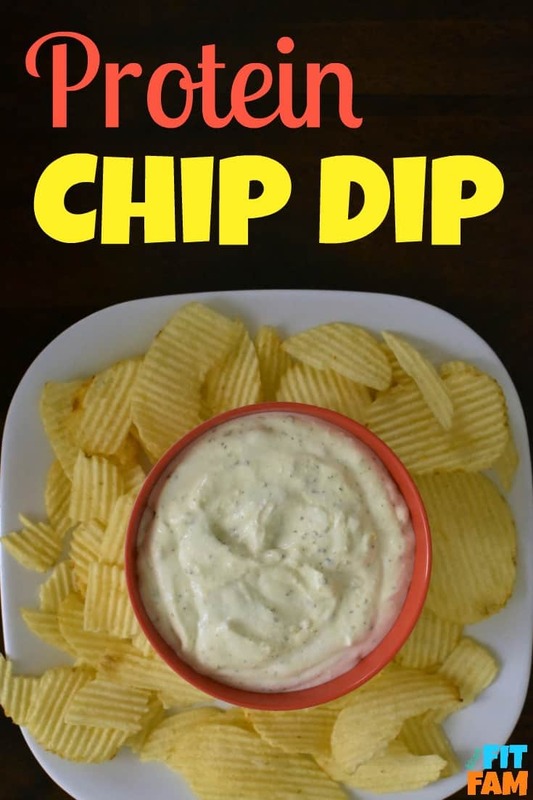 Because we are replacing the fatty sour cream that we would normally use in this dip, we can afford to have a few more chips. It works. Plus, you can pick up the Oven Baked Ruffles and it’s really not so bad.. 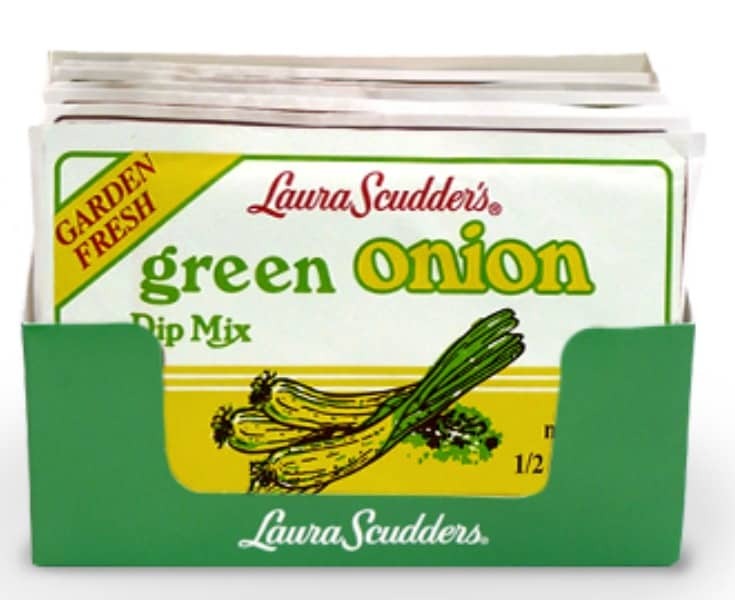 This recipe uses Laura Scudder’s Green Onion Dip Mix. It’s super easy to find on the chip aisle of almost every grocery store. Worst case, Amazon also sells it here. 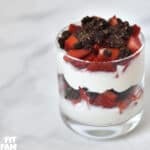 QUICK NOTE: In our opinion, Darigold brand cottage cheese is the best tasting brand for this recipe. 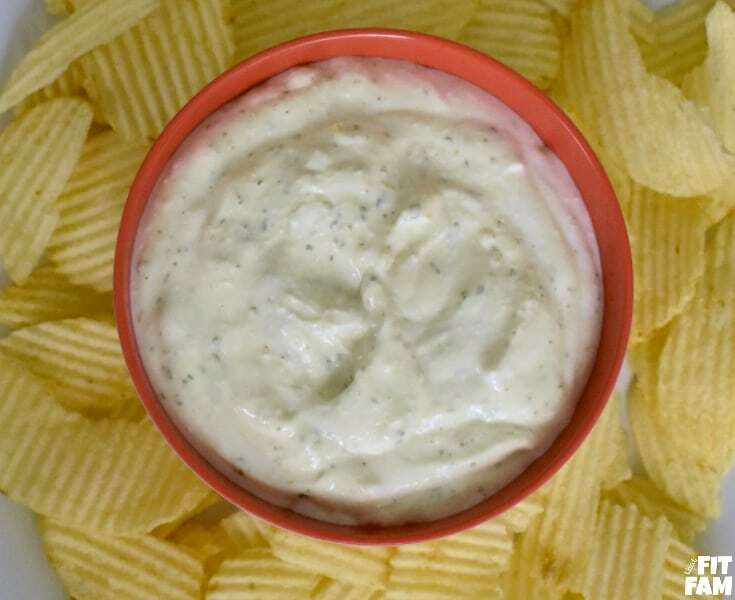 High protein, low fat, low carb chip dip that is only 2 ingredients. We love pairing it with Ruffles potato chips. Pour Cottage Cheese into a food processor and puree until smooth. Add dip mix and stir until well mixed. Darigold cottage cheese tastes the best for this.